The ability to multiply large numbers required daily. Sometimes you have to consider the cost of several items in the store. Sometimes the child asks for help with homework. There are several ways to find the product of two large numbers without using a calculator. 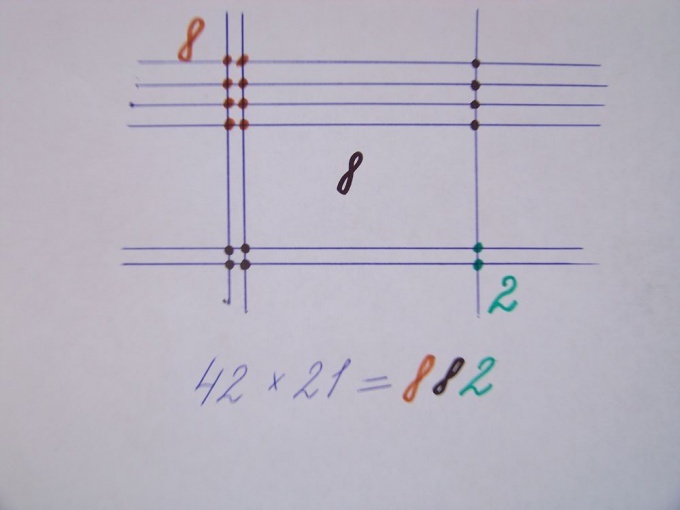 Consider the example of multiplication of 42 and 21. 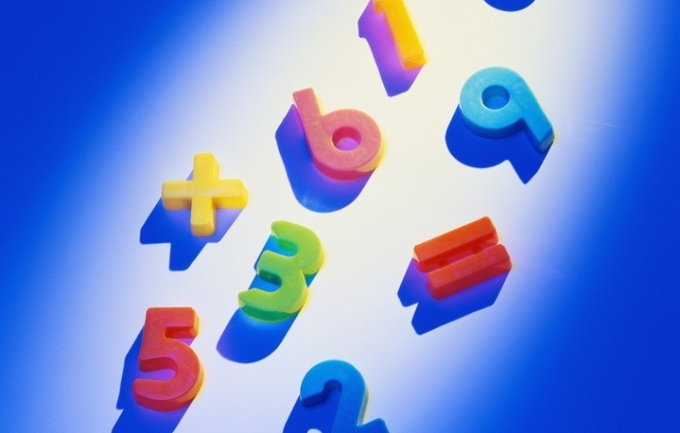 One of the easiest ways to find the product of two numbers is to multiply them in a column. This is taught in elementary school, but if you have forgotten how to do it, is to refresh their knowledge.Write the two numbers one below the other and slide the bottom horizontal line. Perform multiplication of the first number to the second unit and record the result. Multiply the first number by the tens of the second (the result of multiplying the in this case, you should write a little shifting it to the left). Do another horizontal line and calculate the sum of the numbers obtained. This will be the product of 42 and 21. Similarly, you can multiply and three-digit and five-digit numbers. If you do not have a sheet of paper, you can multiply numbers in mind. For this you need to submit one of the multipliers in the form of tens and ones. Thus, 42х21=42х(20+1). Multiplying the round number is done by multiplying the first multiplier by 10, followed by multiplying the resulting works are in the tens of the second multiplier. To multiply by 10, not necessarily to perform complex mathematical calculations, it is sufficient to ascribe to the right by the number zero. So when you multiply 42 20 42 you need to first multiply by 10 and then doubling the resulting product. 42х20=42х10х2=420х2=840. This number should be kept in memory.The second stage of multiplication in mind is to multiply the first number on the second unit, in this case 42х1=42.Then need to add the numberresulting from the first and second actions. Their sum will be the product of 42 and 21. 840+42=882Данный method to multiply two-digit numbers. Someone can find the three-digit product. Numbers with a large number of bits to be multiplied is unlikely to succeed. There is another unusual way of multiplying numbers. Draw on a sheet of paper a graphic diagram of the first multiplier. Imagine it in the form of parallel horizontal lines indicating the number of tens and ones. Between the first and second discharge shows a schematic representation of the number Express the distance of five inches.In the same way, draw a graphical diagram of a second multiplier, only the parallel lines must be vertical and cross the line first number.Now count the number of points at which intersect the line. The number of points in the upper left intersection will indicate the number of hundreds. Points in the lower right crossing - the number of units. The sum of the points located on the diagonal (lower-left and upper-right intersection), the number of tens. Write down the result, this is the product of 42 and 21.This way you can multiply any multi-digit number. Only need to pay more attention to the counting of intersection points in different diagonals.